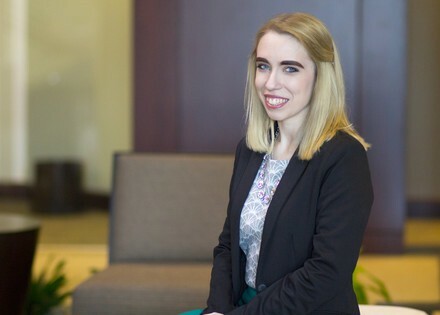 Rebecca Kujawa joined HoganWillig as an office clerk in the fall of 2011 and became a law clerk in the spring of 2013, after completing her first year of law school. Since that time, Rebecca has focused her practice on civil litigation and personal injury. She has experience in various types of civil litigation in state court as well as with administrative agencies. Rebecca assists in many aspects of the litigation process, including pleadings, discovery and motion practice. Rebecca received her JD from the State University of New York at Buffalo Law School, where she served as a Publications Editor for the Buffalo Law Review and was awarded the Order of the Coif (highest academic achievement). As a law student, Rebecca also gained extensive insight into civil litigation as a student law clerk to the Hon. Richard J. Kloch, Sr., Niagara County, 8th Judicial District.